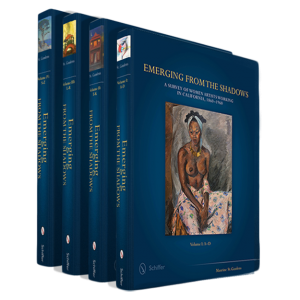 On Thursday, March 31st, Maurine St. Gaudens, along with Joseph Morsman and Maureen Siegal Sprowles, will be discussing the recently released book “Emerging from the Shadows.” After the presentation there will be a Q&A and book-signing. This presentation and book-signing is being held at the Flintridge Bookstore and Coffee Shop in La Canada on Foothill Blvd. The event will start at 7:00 pm. 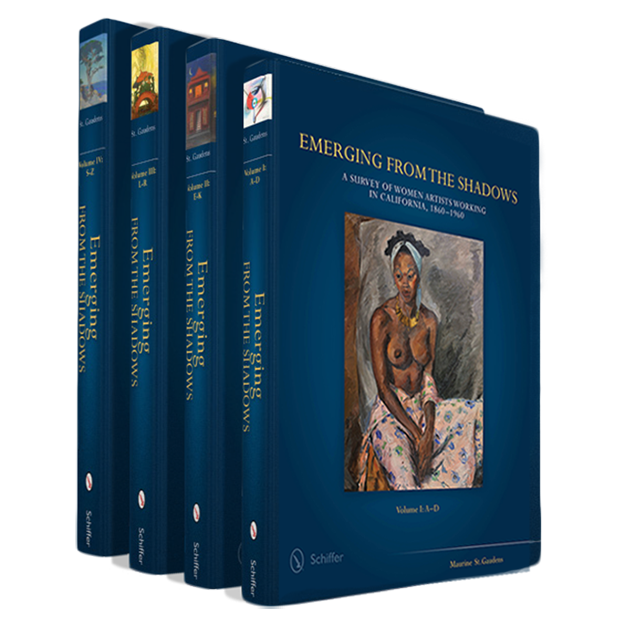 “The groundbreaking “Emerging from the Shadows” examines 100 years of artistic output by remarkable women and shows examples of the work they created in California and throughout the world. The individuals portrayed are powerful, competent and thoughtful artists whose work encompasses a broad range of styles spanning the Realism of the nineteenth century to the Modernism of the twentieth century. For more information, contact Gail Mishkin at (818) 790-0717. Flintridge Bookstore and Coffeehouse (www.flintridgebooks.com) is located at 1010 Foothill Blvd., La Cañada Flintridge, at the intersection of Foothill Blvd. and the Angeles Crest Hwy. Take the Angeles Crest exit off the 210, turn south, make a right onto Foothill Blvd., and turn left onto Chevy Chase. Parking is in the rear.